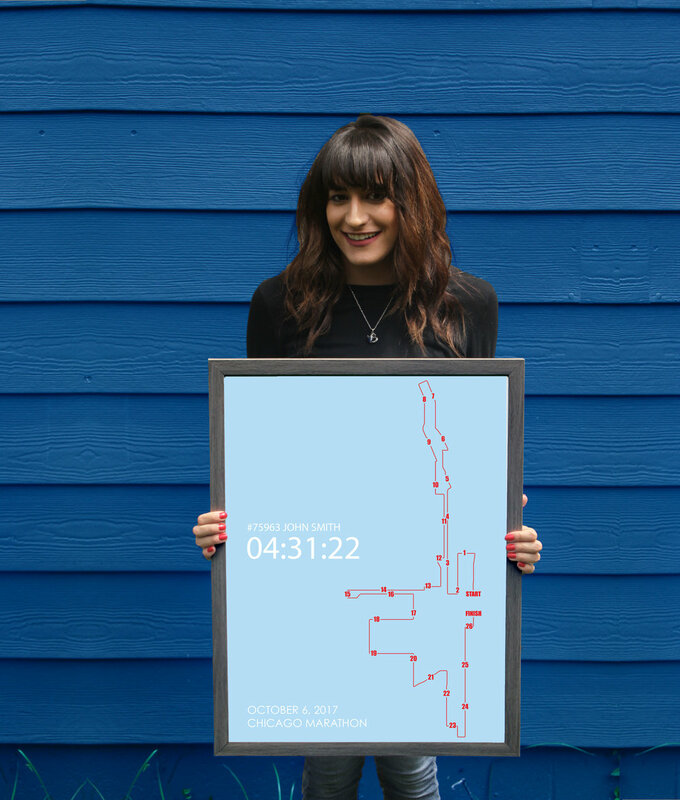 Inspired by the Chicago marathon last week, personalized marathon prints are now live on Etsy! Currently, Chicago, New York City, Boston, and Los Angeles are available. Each print comes in a variety of sizes and colors. Don't see the marathon you've ran? More city marathons are on their way, but until then, there is a custom option. 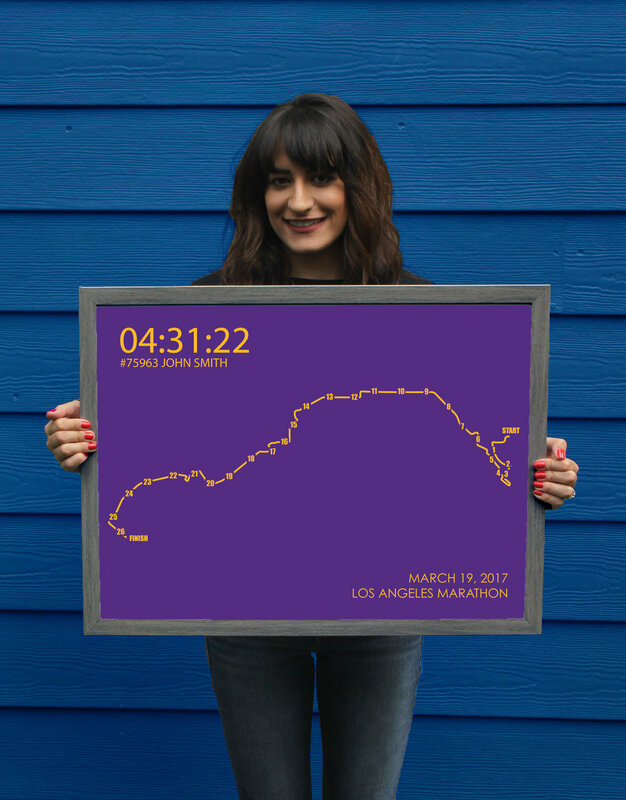 Choose any marathon, and a personalized, custom print will be designed just for you! Which city's marathons would you like to see next? Leave me a comment below, I'd love to hear your suggestions! Once upon a time, a little boy overheard his mother on a phone call. He kept hearing his mother say the same phrase over and over again, "sixty-five roses". Eventually, he went up to his mother and said, "I know who you are working for… You are working for Sixty-Five Roses". Little did he know, not only was she actually volunteering for the Cystic Fibrosis Foundation, but he and his two other brothers also had cystic fibrosis. Since then, "65 Roses" has been used my children and adults to describe the disease. The rose has also become a symbol for the CFF. Inspired by a friend, who has CF, I have created this print. There are exactly 65 roses throughout the shape of this dog. This print comes in several different colors, as well as custom colors upon request. A name/phrase can be added to the print as well, just leave a comment in the notes. More animals will come soon! Most importantly, a portion of the of the sales of this print will be donated to the Cystic Fibrosis Foundation. This unique print looks great by itself, or on a gallery wall with other prints. It would be a perfect gift for holidays, birthdays, or housewarming parties. And of course, a great gift for yourself! Interested in learning more about CF? See links below. I have some exciting new to share with all of you. You may have already seen it on Instagram, Kaleidoscope Spinning will have a booth at the Just For Her Event! The Just For Her Event is a Kansas City's largest summer women's event. Kaleidoscope Spinning will be exhibiting your favorite Kansas City prints, including University of Kansas, Kansas State, Mizzou and several other Midwest schools. There will even be some brand new designs! If you'd like to see some of our full inventory, or if you can't wait until June and want to buy now, make sure to check out Kaleidoscope Spinning on Etsy! 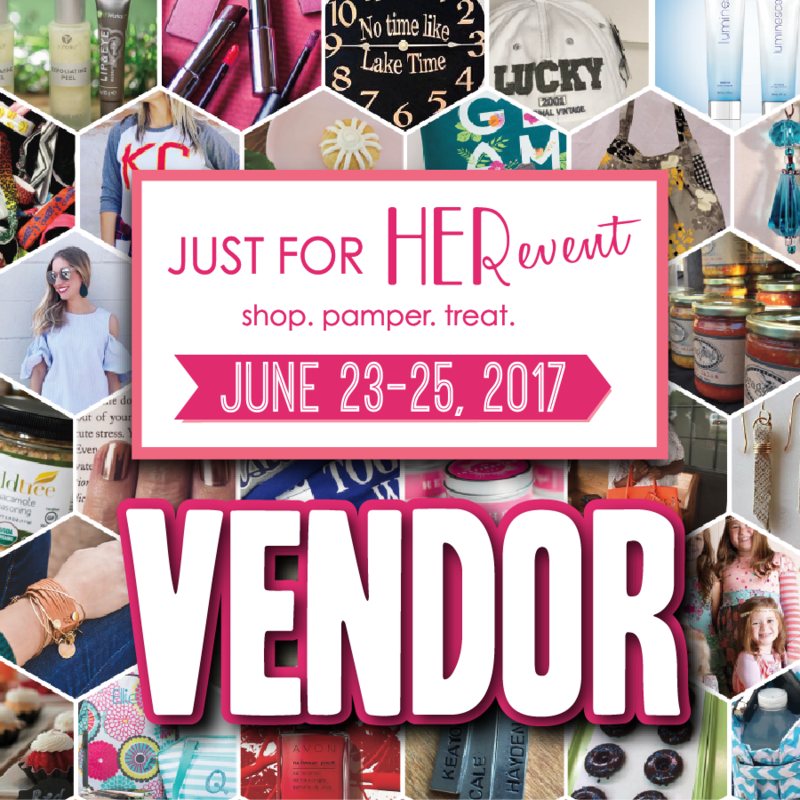 The Just For Her will be in Overland Park , KSon June 23, 24, and 25. You can buy tickets here. We have finally completed the Big 12 prints with enough time left for football season! Below we have West Virginia Mountaineer pattern and prints! All prints can come with or with our "West Virginia Mountaineers" on the bottom. With new prints comes a new promo code. Use offer code “Big12” to get 10% off any print, any size! This is exclusively for Kaleidoscope Spinning readers! Not a WVU fan? We have all 12 10 of the Big12 teams now represented! Texas is home to 4 schools in the Big 12. Since everything is bigger there, I had to one big post for all 4 schools! With new prints comes a new promo code. Use offer code "BiggerIn" to get 10% off any print, any size! This is exclusively for Kaleidoscope Spinning readers! Below you'll find samples of each pattern in the heart layout, but all of these prints come in the basketball and football layout as well. First up, we have University of Texas Longhorns; combining the Longhorn State with the Lone Star State! Next, we have Texas Tech University Raiders! Then, the Baylor University Bears! Finally, Texas Christian University Horned Frogs; modeled after their Frog Fountain on campus! What would you like to see next? As you will see here, I’m taking suggestions! P.S. If you liked this, then you will also like Meet Me in St. Louis and I’m OK, You’re OK.
For audio delight, play this song as you read! Today, we are taking a break from collegiate prints, and introducing St. Louis! 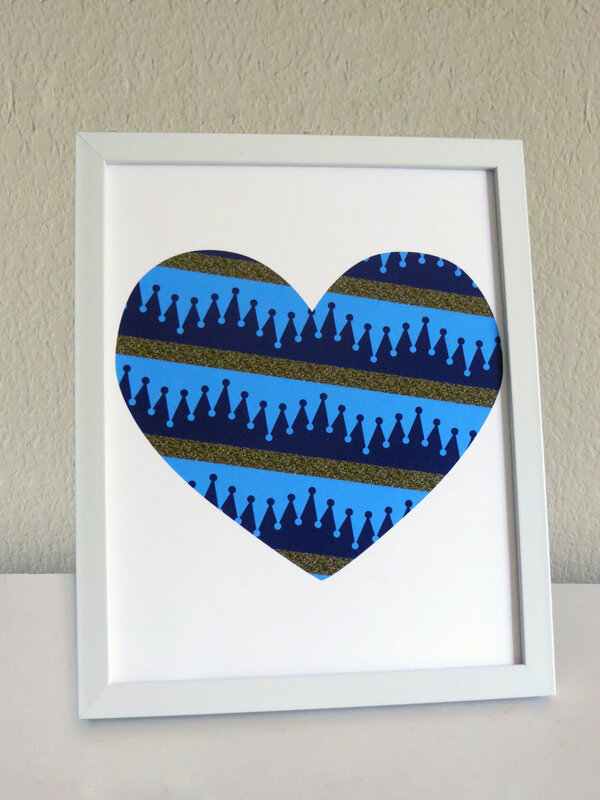 St. Louis Cardinals and St. Louis Blues patterns and prints are designed and officially available on Etsy! The St. Louis Cardinals pattern was inspired by the St. Louis Arch; Baseball bats taking the shape of the city's iconic landmark; The Gateway to the West. The St. Louis Blues is a unique one. Taking a variation of the Blue's logo, the musical note it actually a hockey puck! What city would you like to see next? As you will see here, I'm taking suggestions! P.S. If you liked this, then you will also like I’m OK, You’re OK. and MIZ-ZOU! If you've taken a look at my Etsy Page (which, if you haven't, you should!) you would have seen that I am currently developing patterns and prints for universities, and cities and their sport teams. While I have a lot of plans for the future, I'd love to know what you guys think. Is there a particular team/city/school that you would like to see? Or perhaps a new category? Basically, what do you want to see from my Etsy Page? Oklahoma State University and Oklahoma University have arrived to Etsy! With the launch comes a coupon code only available to Kaleidoscope Spinning readers! For the next week, use offer code OKLAHOMA to receive 10% off any order, any pattern, any size! I am very excited to debut this new pattern! After many requests, Mizzou Tigers prints have officially been added to Kaleidoscope Spinning on Etsy! This original and unique pattern was designed with Mizzou's historic Columns in mind. These columns, a now displayed in the middle of Mizzou's campus, were originally a part of the Academic Hall, the first building erected on campus, in the mid-1800s. In 1892, the building burned down, leaving only the Columns left standing. With the launch comes a coupon code only available to Kaleidoscope Spinning readers! For the next week, use offer code Mizzou to receive 10% off any order, any pattern, any size! P.S. If you liked this, you will also like cyclONE NATION and Do you ROCK CHALK or EMAW? I am very excited to debut this new pattern! Iowa State Cyclone prints have officially been added to Kaleidoscope Spinning on Etsy! This original and unique pattern, from a distance appears to simply be a cardinal and gold chevron pattern. But upon a closer look, you will see each chevron line is, in fact, made up of tiny cyclones! With the launch comes a coupon code only available to Kaleidoscope Spinning readers! For the next week, use offer code CYCLONES to receive 10% off any order, any pattern, any size! P.S. If you liked this, you will also like Do You ROCK CHALK or EMAW? and USA Prints to Kaleidoscope Spinning! University of Kansas and Kansas State University prints have been added to Kaleidoscope Spinning's Etsy Page! Below are photos of each print with links to the Etsy Page. P.S. If you liked this, you will also like USA Prints to Kaleidoscope Spinning! and KC Chiefs and Sporting KC are on Etsy! It's been a while since I updates my Etsy page with new designs, but I definitely think it was worth the wait! Today I am releasing USA prints and designs! Each print is an original pattern, designed with the American colors and symbols in mind. This unique USA print looks great by itself, or on a gallery wall with other prints. Below I have a photo of each new design with a link to the Esty Page. I hope you have enjoyed the new designs. If you want to see certain sport teams, cities, or colleges, have their own print design, leave a comment down below! P.S. If you liked this you may also like KC Chiefs and Sporting KC are on Etsy and Introducing Kaleidoscope Spinning on Etsy! KC Chiefs and Sporting KC are on Etsy! If you saw my post two weeks ago, you know that Kaleidoscope Spinning is on Etsy! We started the site with Kansas City Royals patter n and prints. Since the initial announcement, we have now added patterns and prints for the Kansas City Chiefs Football team and Sporting KC Soccer team. Not a Kansas City fan? We will have more patterns and prints coming very soon! Introducing Kaleidoscope Spinning on Etsy! I am so very pleased and excited to announce that Kaleidoscope Spinning is officially on Etsy! This has been a passion project of mine and something I have been wanting to do for some time now. 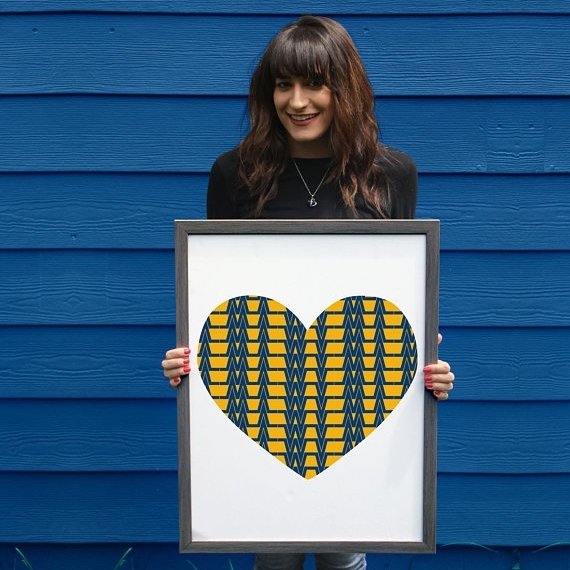 The concept behind the Etsy Shop is unique and original patterns used in minimal designs. True to my style, everything you see will be filled with color! I hope you take the opportunity to check out my Etsy Page. And if you don't currently see anything you're interested, don't worry, I have plans to continue to introduce new patterns and themes. So make sure to check back because this summer is going to be busy! As of now, we have prints for Kansas City Royals, but there is much more to come very soon!